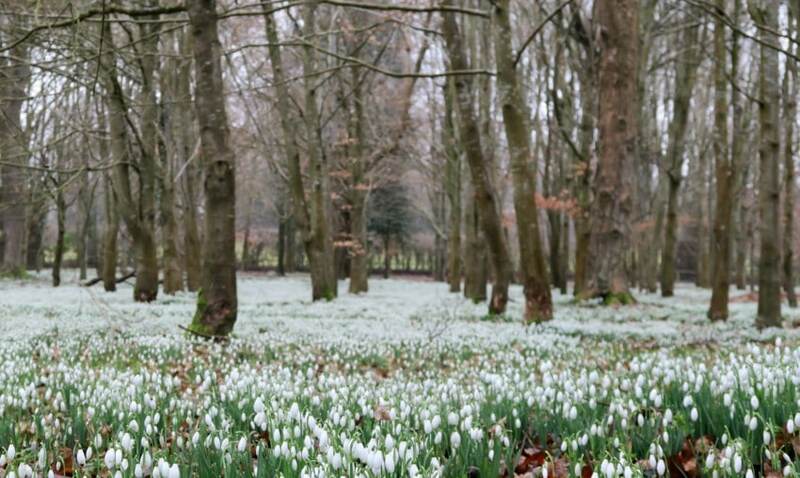 Have you ever wanted to go and see a woods covered in a blanket of Snowdrops? Well, I hadn’t until I spotted it on Instagram! It looked stunning, and then when I saw it was only 50 minutes from home I booked it in the diary for last weekend, and off we headed. Pre 1536 on the land of Welford Park, stood a monastery which was in the care of the monks of Abingdon until the dissolution of the monasteries in 1536. This was the order of King Henry VIII, who then kept it as his own deer hunting lodge. Then he granted it to one of his courtiers, Sir Thomas Parry in 1546. 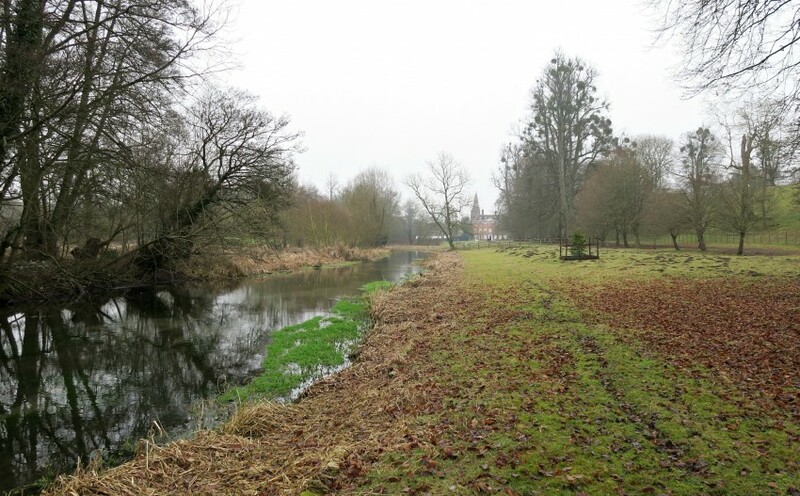 Since then Welford Park has been passed through the families, until now, and James Puxley and his family live here. 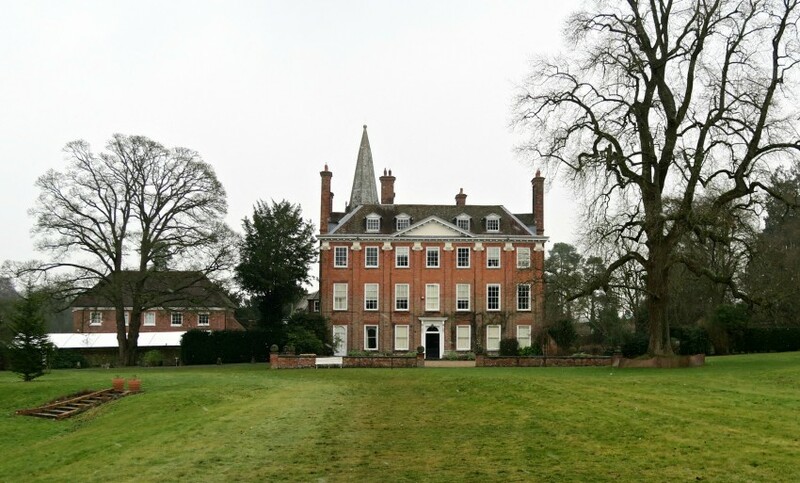 Welford Park is a private garden and only opens up for special events. 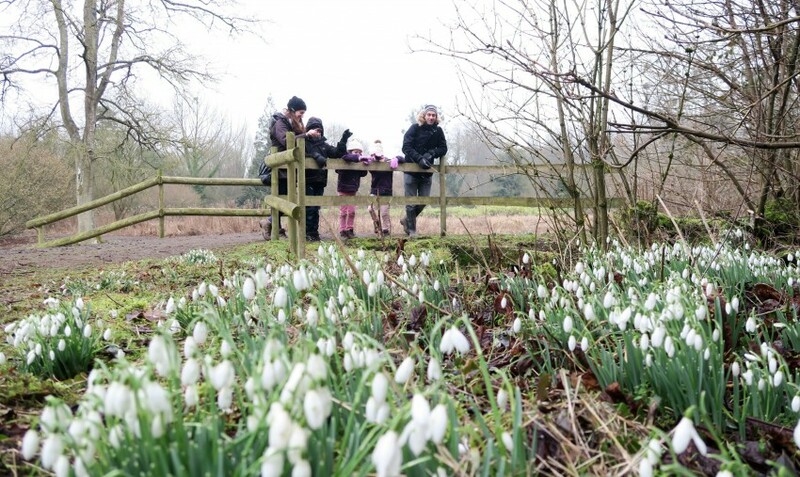 The special event we went to was to see their large display of Snowdrops. Please check the website to see the dates it is open, in 2019 it is open 30th January – 3rd March, however, please check their website to make sure as they close on a couple of days of the week too. So what’s all the fuss about? Well take a look at this picture, it isn’t something you normally see, is it!? A full blanket of Snowdrops, covering the floor of the woods. 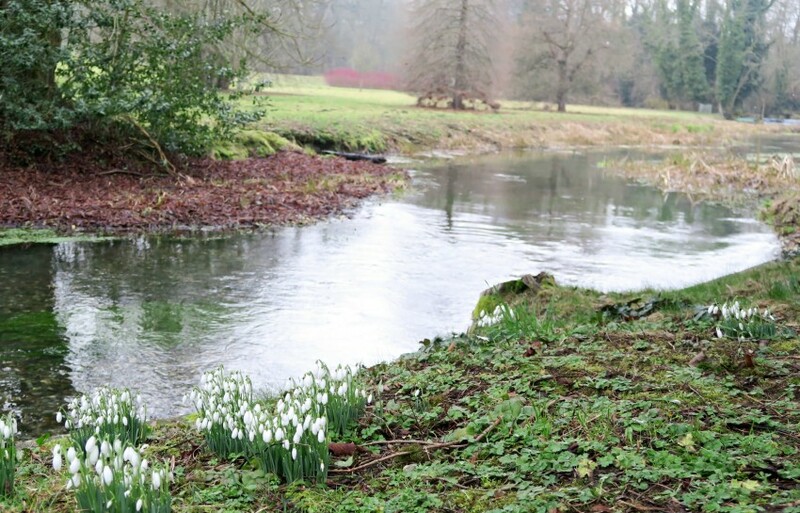 Welford Park thinks that these Snowdrops were planted by the Norman Monks, as they saw Snowdrops as a symbol of purity and the cleansing of the earth after winter. Also to decorate their Church for the feast of Candlemas, and also for medicinal use. 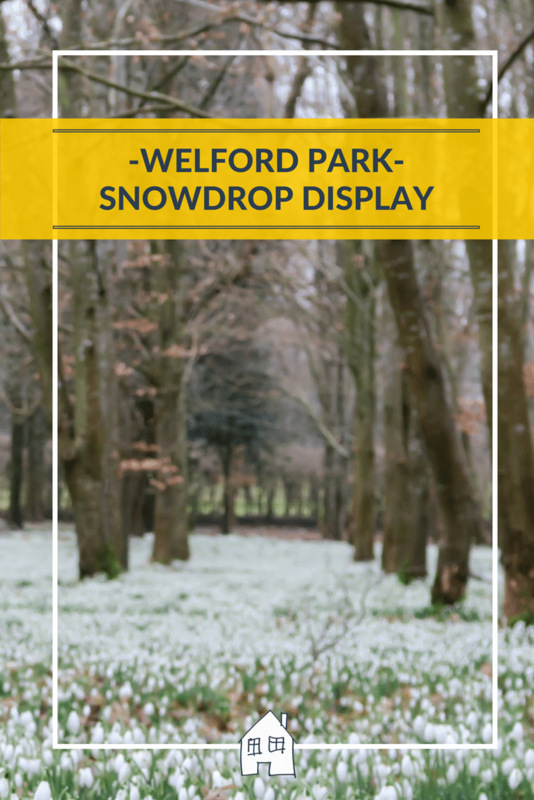 Welford Park charges an admission fee for coming to their grounds, adults £6, children £2 and under 4’s free. However, they are also part of the National Garden Scheme, which people open up their garden to raise money for lots of charities. 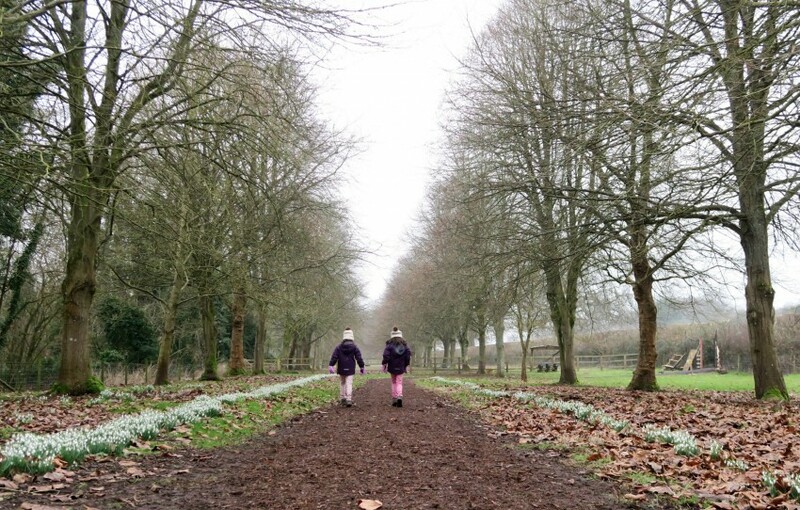 We had a couple of hours doing the snowdrop walk around the gardens and woods, Welford Park has made such an effort for this event. With dedicated car parking area, paths made and signs to direct you and staff on hand to help you. They also have opened up a heated tent for you to purchase hot drinks and food from the tearoom. We didn’t use this, but we did go to the gift shop and purchase some of their sausages and bacon from their own pigs. They tasted really nice, and we thoroughly recommend them. We also went on the perfect day, it was snowing! 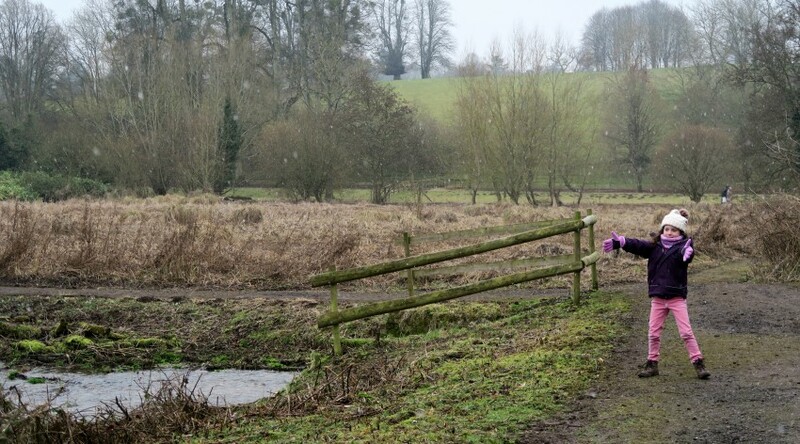 So we walked around the woods with the flurries of snow around us, the kids were happy to be out in it and enjoyed exploring a new place together. 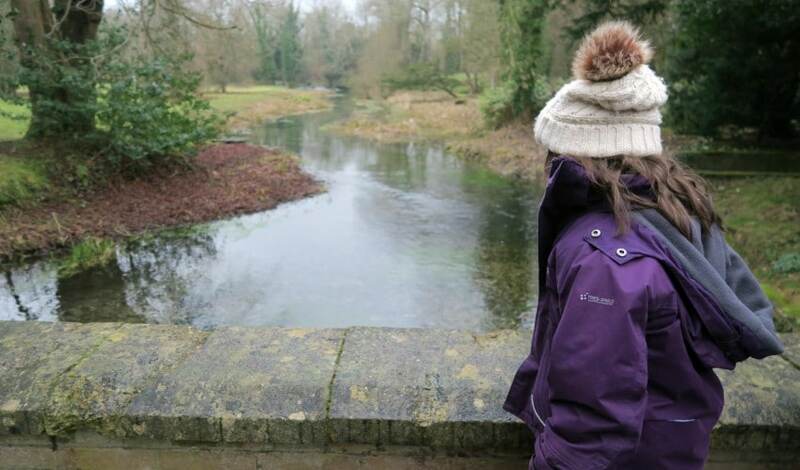 Most of all though, they loved playing ‘Pooh Sticks’ on every bridge we came across! I will leave you with some more pictures of our visit. Absolutely stunning photos!! We actually visited some local gardens with a beautiful display of snowdrops yesterday. They are so amazing to see. Ah thank you, they are such a dainty pretty little flower aren’t they. 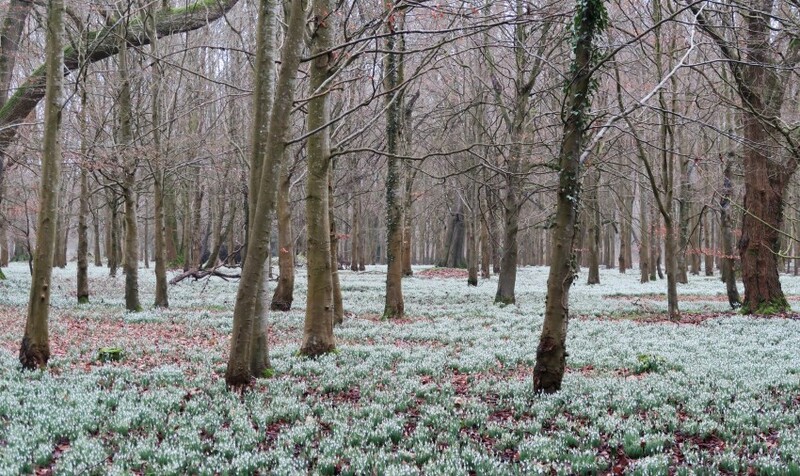 this is one of the best snowdrop blanket fields I’ve seen – it’s beautiful. And what a gorgeous house, it looks as if a 8year old has drawn it and it’s just come to life! That’s so true about the house! How I love snowdrops! I have never seen such a display, wow! Stunning photos, the place looks like it’s covered in snow. 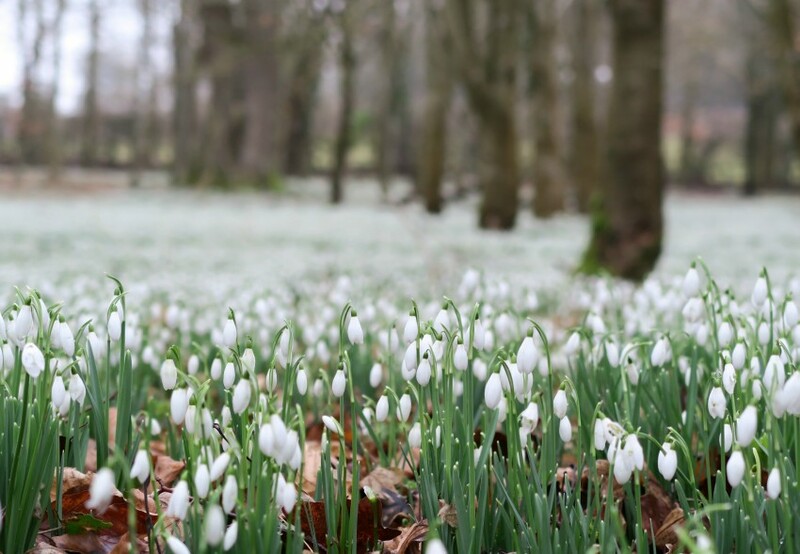 I know of a few places here in Ireland that host snowdrop events, but bad timing means we always miss them. Have to try harder next year. First sign is so refreshing isn’t it! Thank you, spring is coming…..although I’m sat here with storm Doris going around right now! Thank you, I hadn’t seen so many either! 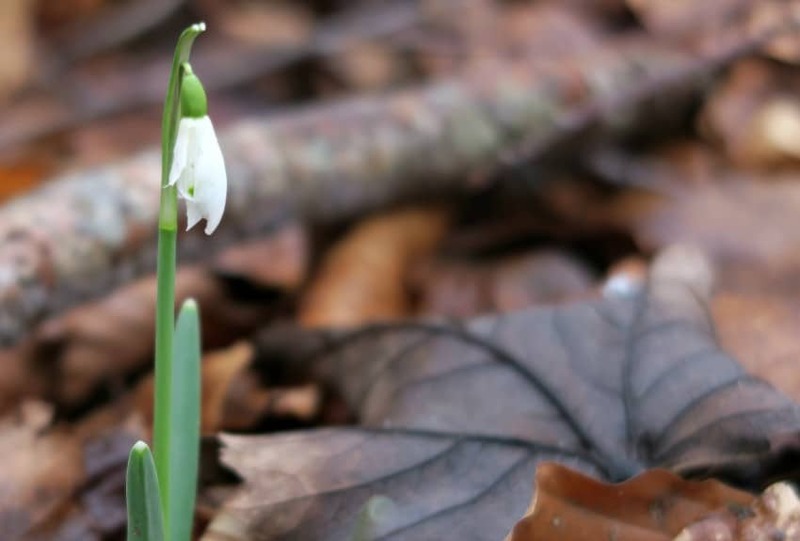 WOW – beautiful photos of the snowdrops. they look gorgeous. Snowdrops and snow, what a wonderful combination. 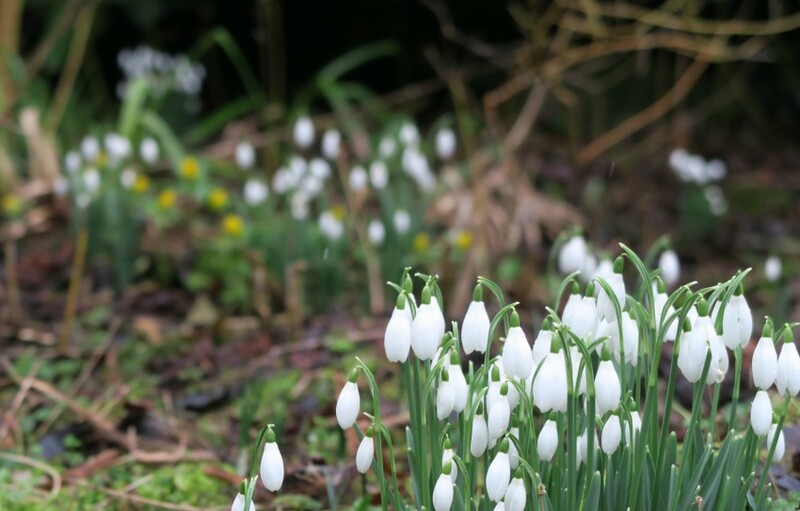 I must say your photos are stunning and show the impact of the snowdrops so well. 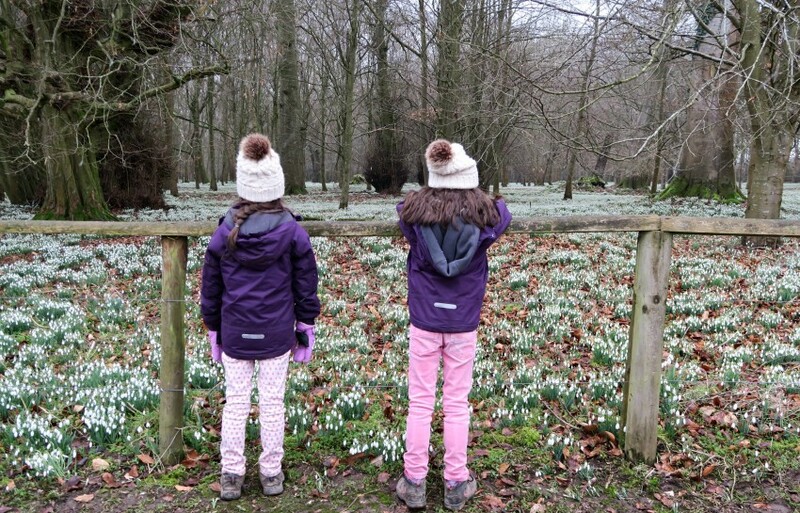 I was reading on another snowdrop post on Country Kids today that there are actually 80 different types of snowdrops. I wonder which these are? They are certainly very pretty and I love the idea of them as a sign of purifying the earth after winter. I don’t have a clue which one they are, I didn’t even realise you can get 80 different ones!! Wow! Thank you, I loved picturing them. I used to get excited when I saw them on the hedgerows, but I have been spoilt now with these! Thank you! That’s what is coming next, bluebells! I will be there with my camera for that too! Oh wow! The snowdrops look so beautiful! I may have to go and hunt some out this weekend! Such cute little flowers, hope you find some! This looks amazing! Haven’t seen any snowdrops around here yet. I love Snowdrops, it makes me start thinking that the warmer weather might be here soon! 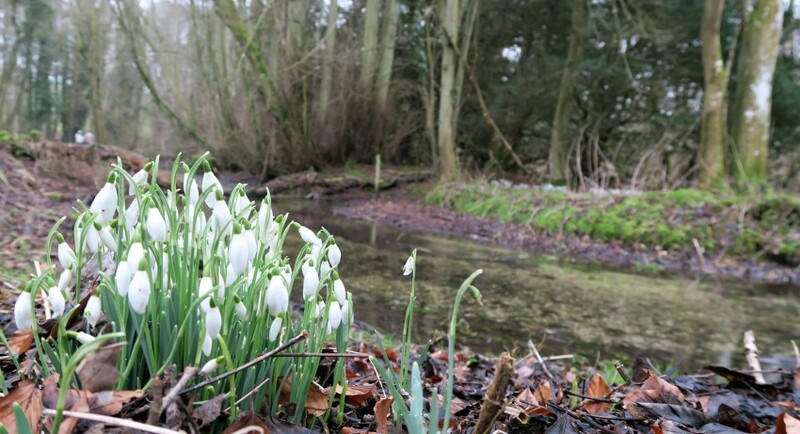 so beautiful here – never seen so many snowdrops like that before! My Mum loves them, so I have fond memories of my Mum being so pleased to see the Snowdrops. I hadn’t seen so many in my whole life I don’t think!!! Yes it was a lovely afternoon walk, did you see our flurries of snow!!! I don’t usually get that lucky with my pictures! Have a lovely visit, look out for the cake tent! !